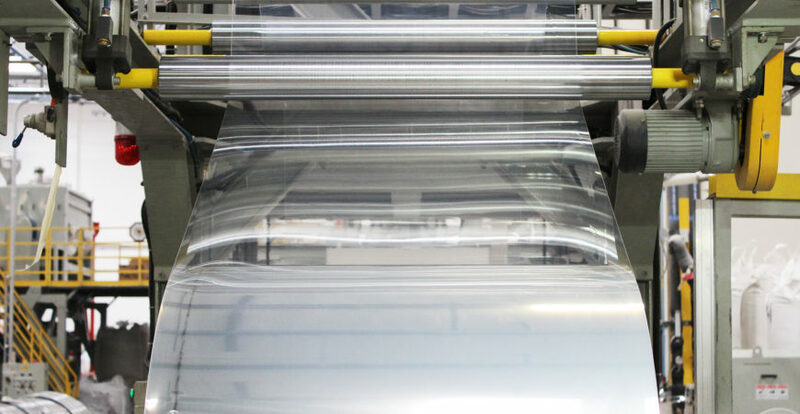 Latest News > What is PLA Plastic? The field stretches for miles and the tall stocks gently blow in the breeze. They are waiting to be harvested, but these stalks will not be used for human consumption or even livestock. This stalk is part of a new generation that will be used as a renewable resource. This is not a new concept, as we have seen Brazil using sugar cane to make ethanol, lessening their dependence on fossil fuels. Other countries are exploring and using alternative energy such as: geothermal, wind, biomass, solar energy, etc. That is why it is only natural that the disposable foodservice industry would follow course, and enter products into the marketplace that would leave less of a carbon foot print. How do these plants that were standing in the field become straws, utensils, food containers, plastic cups, etc.? The process basically begins when the plants are harvested and milled to extract the starch. Enzymes are then added to the starch changing it to dextrose, which is a simple sugar identical to glucose. This sugar is put into huge fermenters to ferment the mixture into lactic acid, a colorless syrupy organic acid. This acid is now converted through a proprietary process into lactide and finally into polylactide pellets. The pellets look like little beads that are sent to manufacturers where they make plastic sheets that will eventually turn into food disposable goods. – CEO Alan Yu of Karat® by Lollicup® USA, Inc. The plastic bans on disposable products, that are gaining momentum nationally and internationally, are in response to the incredible amount of waste that disposables cause. For example, the U.S. uses five million straws daily. This amount would fill one hundred twenty-seven school buses every day. Another example is plastic utensils. The U.S. throws away an estimate of six million tons per year. You could line up garbage trucks from Los Angeles to New York three times. It is through these innovative ideas that the incredible amount of waste can be reduced. PLA plastic is an innovative biobased product. Biobased is defined by the United States Secretary of Agriculture to be a product that is made from a renewable resource, including plant, animal, marine, and forestry materials. So basically, what was once standing in a field became a product and then can return to the field, starting the process all over again. This entry was posted in INFO CENTER and tagged biobased, dextrose, disposable, eco-friendly alternative, lactic acid, lactide, lower carbon footprint, lower energy use, natural, PLA Plastic, plastic bans, polylactide pellets, renewable, starch, sugar. Bookmark the permalink.